Popular Canadian singer to perform at Hayarkon Park in Tel Aviv on Wednesday. Canadian pop icon Justin Bieber on Tuesday arrived in Israel ahead of a scheduled show. The following was released by his press agent: "At these moments, Justin Bieber, accompanied by his personal manager on an aerial tour of a private helicopter, observed the country from bird's-eye view. On the tour he passed the beaches of Tel Aviv and also looked at the city of Jerusalem. Justin: 'It's a great excitement to visit Israel for the second time', and was impressed by the scenery and especially the weather." Bieber will perform at Hayarkon Park in Tel Aviv on Wednesday. 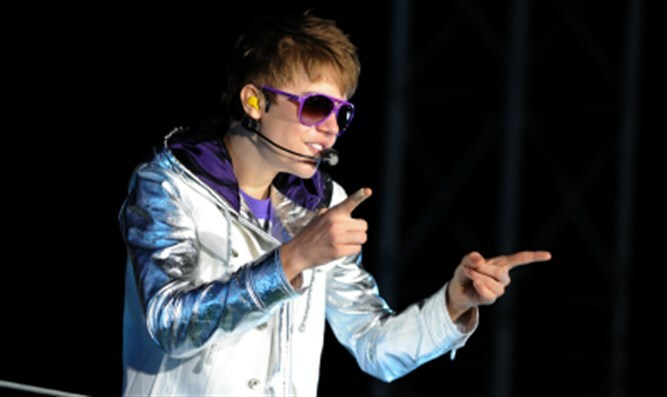 Bieber, 22, last performed in Israel in 2011 in front of 23,000 admiring fans. After touring the country today Bieber expressed his excitement at being in Israel a second time.